Bearded Goat Barber - Premier men barbershop in Arlington, Virginia. Premier men barbershop in Arlington, Virginia. We're committed to always making you look your best. The Bearded Goat Barber team is thrilled to be open in Ballston! We offer a full array of haircut styles, shape-ups, and grey blending. If a shave is what you’re looking for, we provide a relaxing straight razor hot towel shave. We also specialize in beard shaping and sculpting. Put your trust in us, and let our clippers and scissors do the work. We’re a great place to get fresh and a sanctuary from the outside world. Everything at Bearded Goat Barber is personally curated by the team, from the music you hear to the classic cuts to the merchandise and gear. We hope you’ll become a part of the Bearded Goat Barber family. 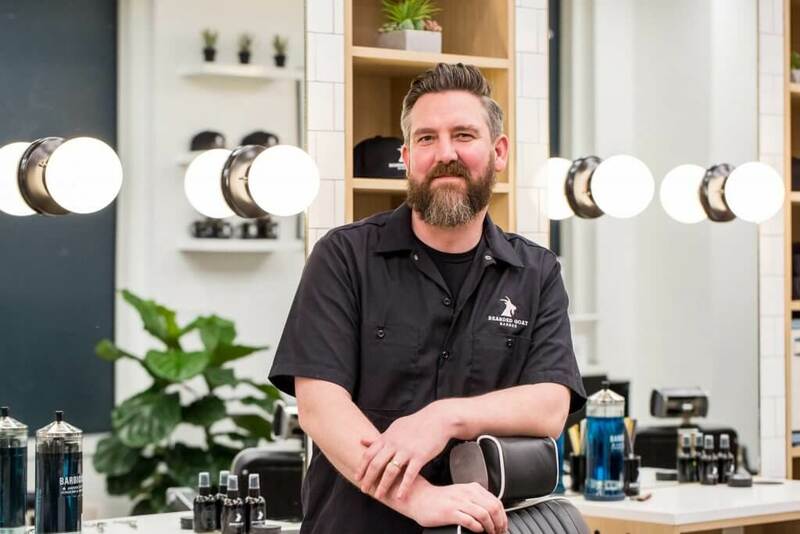 Eric has been helping clients enjoy the “total barber experience” in the Ballston area since 2002. Eric has a loyal following of clients and has maintained relationships throughout the Ballston Mall construction changes. Eric’s eagerness and strong ability to stay current with the latest styles and trends, while remaining true to classic styles, has allowed him to provide superior service to a diverse clientele over many years. Eric loves to talk about sports, music, movies and anything else (pop culture or otherwise) with his many clients. A few of Eric’s other passions include cycling, yard work, and home improvement projects. 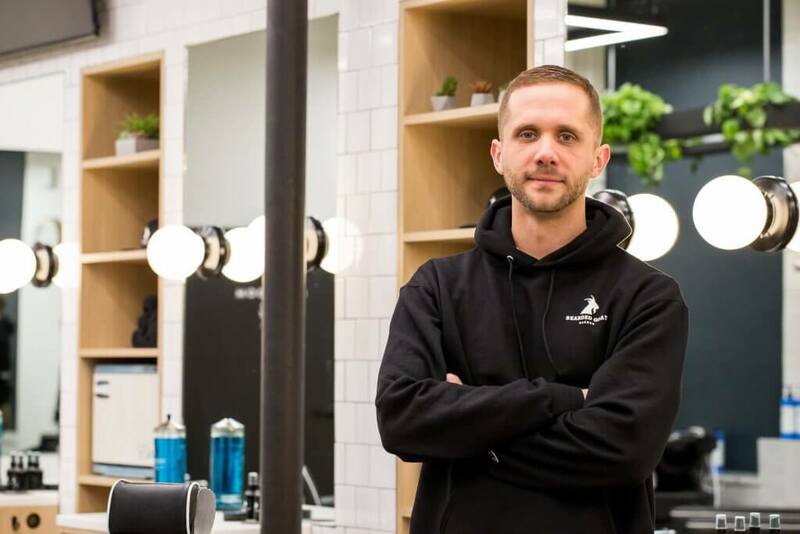 Jon is thrilled to continue his passion for barbering in the Ballston neighborhood where he resides with his wife. 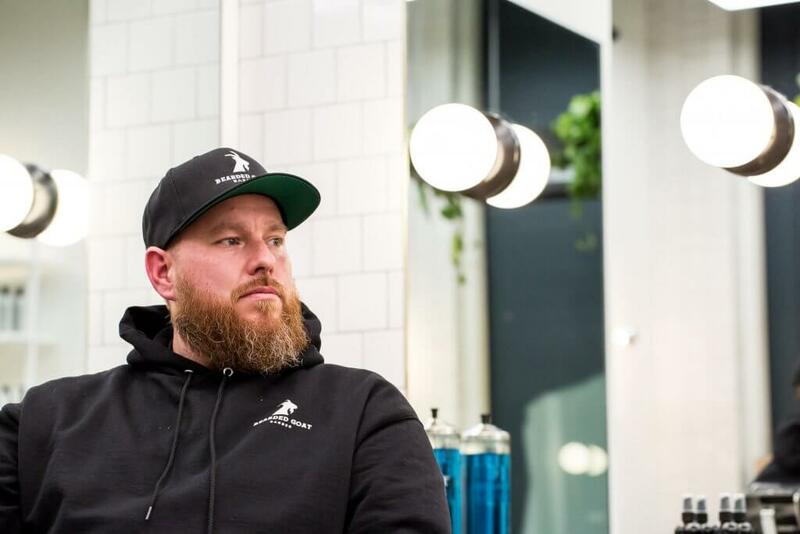 Jon specializes in all aspects of barbering, especially beard trims, and has a vast knowledge of all products. The Bearded Goat Barber’s Beard Oils and Beard Balms are personally handmade by Jon and include an olive oil made from his family’s olive groves in Greece. Jon has a love of travel and is always up-to-date on the local restaurant scene. Scott is an Arlington based, small business entrepreneur. Scott currently owns and operates four restaurants in Arlington, as well as other local businesses. Scott’s expertise lies in operations, branding, marketing, and management. Scott’s passions include nightlife, food and beverage, and health and wellness. 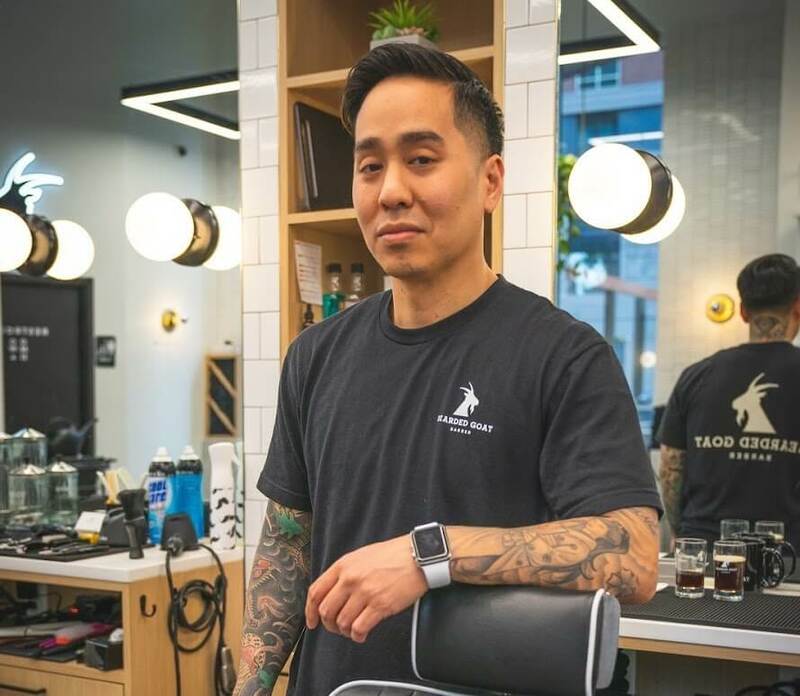 Riz was born and raised in England and has been providing superior barber service to his clients in the DC area since 2016. Riz specializes in classic haircuts including fades, tapers, and pompadours, which are always cut to look great with or without product. 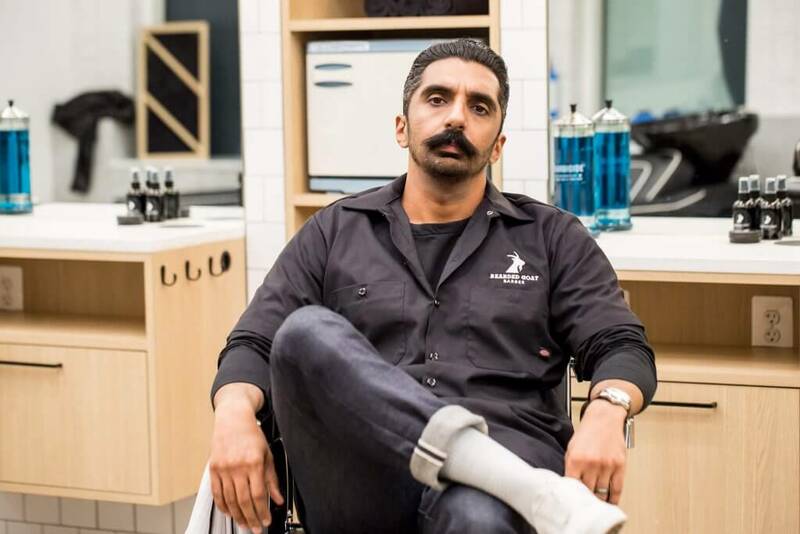 Riz knows that his clients will look and feel their very best after experiencing each visit to Bearded Goat Barber. In his downtime, Riz enjoys being with his family, as well as participating in fitness routines and relaxing with video games. Angela has 12 years of experience in the industry. 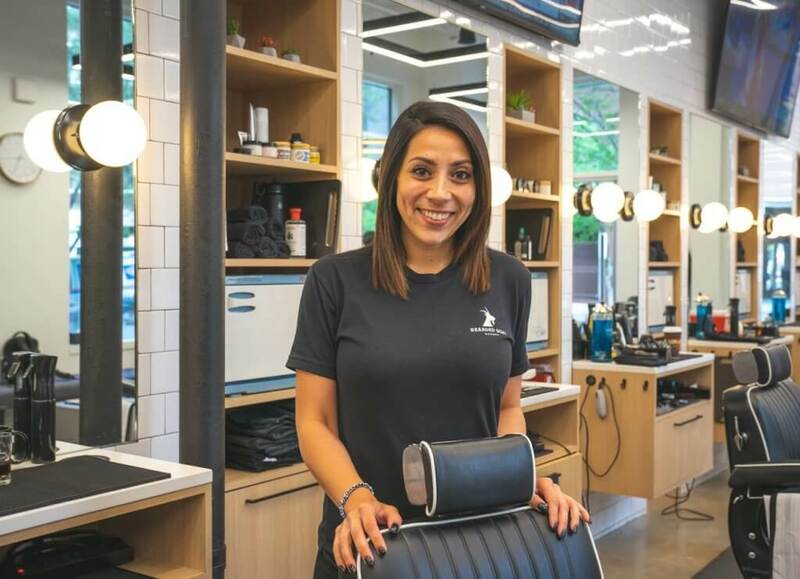 She began as a cosmetologist for six years, then went into barbering for the last six years of her career. Originally from Dallas, she recently moved into the area. Angela is very passionate about what she does and excels at long hair as well as classic men’s hairstyles. She’s an avid sports fan who loves game shows and puzzles. Ken has 15+ years of experience in the industry and is a versatile barber who specializes in fades & shaves. Ken is detailed oriented and loves what he does. He grew up in Maryland, is a big Ravens fan and also follows the Orioles, Wizards, and Caps. Being a huge foodie, if it doesn’t involve food, he doesn’t want any part of it. Here's what you should expect. No matter what your style is, we will consistently deliver the quality that you expect when you sit in our chair. Listen to music, check out some sports, have a casual conversation. It's the perfect place when you want to take a break. We love what we do, but we're also seasoned professionals—expect only the best from our team. Schedule your appointment with any of our amazing barbers. We encourage you to book in advance, so check out our schedule and pick the day, time and barber that best fits you.